Chipotle is asking customers not to bring firearms into its stores after it says gun rights advocates brought military-style assault rifles into one of its restaurants in Texas. But in a statement Monday, the company said that "the display of firearms in our restaurants has now created an environment that is potentially intimidating or uncomfortable for many of our customers." Erika Soto Lamb, a spokeswoman for the group, said she thought the move by Chipotle was a "bold statement," especially considering its previous stance of complying with local laws. Many states allow people to carry licensed guns in some way, but some businesses exercise their right to ban firearms. 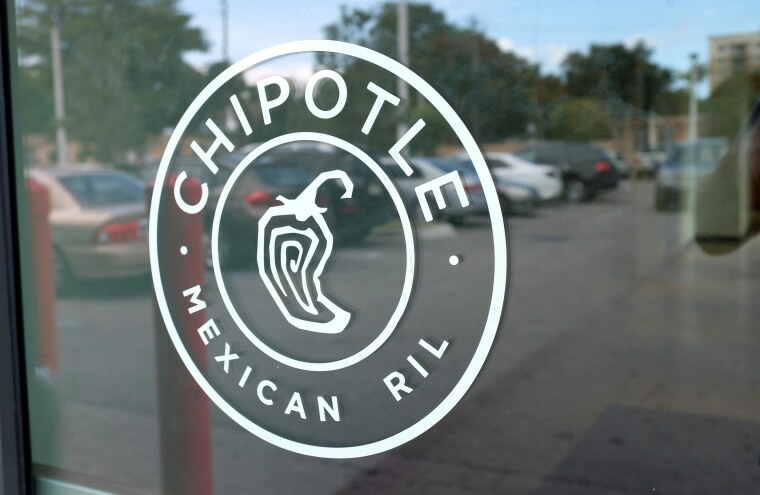 A Chipotle spokesman didn't immediately respond when asked if the company's request was an outright ban, or how it would respond if people continued to bring firearms into its restaurants. Last year, Starbucks Corp. also told customers that guns were no longer welcome in its cafes after it had to temporarily close a store in Newton, Connecticut, to avoid a demonstration by gun rights advocates. The company said it shut down the store out of respect for the community, where 20 school children and six educators had been slain. The Seattle-based coffee chain stopped short of a ban, however, saying it didn't want to put its workers in the position of having to ask people carrying guns to leave its stores. Its carefully worded decision also underscored how major companies need to walk a fine line on highly divisive political issues. Likewise, Chipotle Mexican Grill Inc. noted in its statement that "there are strong arguments on both sides of this issue." It said it hoped that customers who oppose carrying guns in public agree that "it is the role of elected officials and the legislative process to set policy in this area."